Our Funarena! 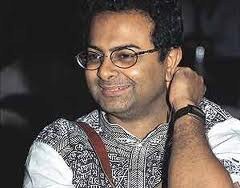 : Movies: Filmmaker Rituparno Ghosh Dies Young At 49! 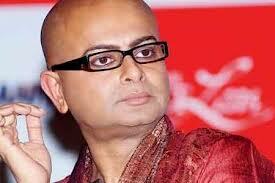 Movies: Filmmaker Rituparno Ghosh Dies Young At 49! Morning today brought shocking and very sad news. Extremely talented and iconic film director Rituparno Ghosh passed away in Kolkata at 7.30am after a massive heart attack. He had not been keeping well for the last few days and was reportedly suffering from pancreatitis. He was just 49. An irreparable loss for his native state of Bengal, for the whole of India and Indian Cinema. Rituparno Ghosh was known for his sensitive portrayal of interpersonal relationships in his films. Making his directorial debut in 1994 Rituparno never looked back and went on to make nearly 20 movies in nearly as many years of his career—many critically acclaimed movies in Bengali, Hindi and in English. Even when he was not well in recent months he was actively engaged in his production work. He has a superlative record of winning 12 National Awards for Best Direction, Best Screenplay and Best Film. His films brought in more National Awards in other categories involving his artistes and technicians. He chose his actors from Bengal as well as from Bollywood, depending on the exquisitely well-defined characters in his films. Rituparno also bagged various nominations to international film festivals and international awards. He also acted in recent years in controversial roles. Rituparno Ghosh was born in 1963, in a family connected to the film world. He grew up with his parents developing a tremendous bond with them, particularly with his mother. As his artistes say he was always lovable on the sets as he was respected for his command over celluloid. However, his personal life was never above controversies and questions. But he was always bold and frank about anything concerning his personal life as he often boasted of his gender fluidity and being in-between, although dismissing the notion that the roles he acted in were about him in real life. We with a heavy heart bid adieu to a great filmmaker of India from whom much more exciting creations were expected. May his noble soul rest in eternal bliss.